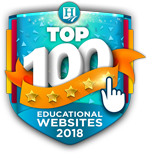 Every year, Homeschool.com publishes the Top 100 Educational Websites. 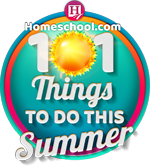 This list is informational, helpful, and a resource homeschoolers look forward to every year. 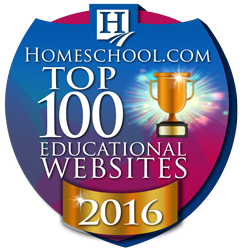 We hope you enjoy the Top 100 Educational Websites of 2016! Time4Learning Offers Online Curriculum for Preschool to 12th Grade!!! Time4Learning.com has helped over 400,000 students just like yours dream big and build a road to academic success with its multi-faceted curriculum, outstanding customer support, and incredibly handy homeschool tools. Time4Learning provides an online learning system that teaches the materials (in a secure, ad free environment), reinforces concepts, tracks progress, and keeps printable reports perfect for record keeping & portfolio usage! HowtoLearn.com is a personalized learning solutions website. Eliminate learning roadblocks with the Personalized Learning Solutions Blueprint. Learn ‘how to learn’ for a lifetime, improve reading, grades and test scores. Take the free Learning Styles Quiz to find out how you learn best. Not a homeschooling site per se – but it’s perfect for homeschoolers. It’s crowdfunding for College! The TiViTz College $avings Game-a-thon is similar to a walk-a-thon, in that kids seek pledges from friends and family…but instead of walking, they play TiViTz math and strategy games online to trigger their pledges. The app then collects all pledge payments for deposit into the student’s college savings account. It’s easy-to-use, fully-automated, for K12 and all online! Sign up for free and learn about the pricing policy here. 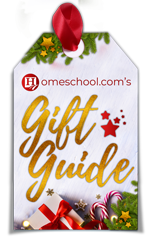 Teacher supplies, resources and educational tools for homeschoolers and teaching professionals with great savings from the best catalogs and online stores for science, math, reading, test prep, music and art, special education and more. The CK-12 Foundation offers a complete home school education curriculum free of charge. More than 100,000 teacher-created digital textbooks are available, and over 5,000 math and science concepts are covered. Resources include a wide variety of programs and modules for children with all types of learning styles. Educents is an online marketplace for educational products and resources which allows homeschoolers and parents to save up to 90%. Join over 500,000 homeschooling families and discover thousands of quality educational products for your kids, all in one place. Educents offers a wide range of brand-name homeschooling curriculum, educational products, freebies, toys and more, and they aspire to provide affordable education to everyone. Educents was started by a homeschooling family, for homeschooling families. 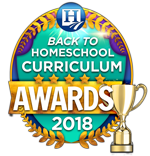 With over 160,000 participating families, the Homeschool Buyers Co-op is the world’s largest buyers club for homeschoolers, with savings of up to 90% on award-winning homeschool curriculum. Membership is FREE and includes free homeschool ID cards, free SmartPoints (a Co-op currency), and access to our popular databases of homeschool field trips and free curriculum. Miller Pads & Paper is an art and educational supply company that has served the homeschooling community for 27 years. They sell educational books, paints, toys, games, markers, drawing pencils, Bible study supplies, penmanship paper and much more. For over 30 years Nature’s Workshop Plus has been bringing quality, educational materials to families across the country. From anatomy and zoology to fun and entertainment they have projects and books to meet the interests and educational needs of both you and your children. 3P Learning is a global provider of online education. The company offers programs in mathematics (Mathletics), literacy (Spellodrome) and science (IntoScience). To learn more about the company, check out their Hello video (very inspiring). Free trials are available. Arcademics creates online multiplayer edu-games. Students can play each other while practicing math and language arts. Arcademics offers free games and Arcademics Plus ($20/year for one student and $5/year for each additional student) has extra features such as real-time progress reports, custom game content, and player power ups. Get your free 30-day trial for Arcademics Plus here. Demme Learning is the parent company for Math-U-See, Spelling You See, and KinderTown. Each of the Demme Learning products encourages children to explore and learn side-by-side with an engaged parent. The company recognizes that engaged parents are crucial to children’s success in becoming lifelong learners. Their blog is an exceptional resource for homeschooling ideas and general encouragement for homeschooling parents. Curriculum based quizzes featuring English Language Arts, Math, and Science for Grades 6, 7 and 8. All content is written by teachers and available free of charge to homeschoolers – just click here. EverBright Media’s fun animated video lessons make it easy for kids to learn wherever they are. With topics that include American history, money management, the Bible, character building, and more, each video is supplemented with learning guides and activities that reinforce the lessons! Click to try one of their lessons free today! Moving Beyond the Page is a complete literature-based homeschool curriculum for kids 4-14. The curriculum encourages critical and creative thinking, provides challenging and engaging projects, and supports different learning styles. Pricing can be found here. Student Handouts offers a huge assortment of free printable worksheets, workbooks, and more for students in kindergarten through high school. Homeschoolers can teach World History to their freshmen while having their kindergarten students practice their ABCs with handwriting worksheets. Students can test their knowledge with online educational games. Many of the site’s freebies, are designed to facilitate independent learning. TakeLessons connects students with the private instructors throughout the country. Students can find great academic tutors, music instructors and language coaches that fit their present level of learning, and their learning style. From finding the perfect teacher to managing payments, scheduling and tracking your progress, TakeLessons takes care of all the details, so your student can focus on learning. The company offers adventure books which introduce world cultures for kids 8-12 – and the books arrive from abroad. The website includes a kids-only online community, and 100s of professionally developed lessons. Lessons in the Teacher’s Lounge cover vocabulary, reading comprehension, writing, critical thinking, world cultures, projects and more. The Teacher’s Lounge is available as an upgrade to the Adventurer Package. Affordable and engaging online curriculum for Pre-K to 12th Grade. Helping over 400,000 homeschool students for over a decade with interactive lessons, printable worksheets, detailed reporting, and much MORE. This is a subscription site—$19.95/month for Pre-K to 8th grade and $30/month for their High School Curriculum. To see lesson plans by grade and subject, click here. View a demo before purchase here. TinyTap is an app that allows homeschooling parents to create tailored, interactive lessons. Students can also explore the thousands of educational games shared by TinyTap’s global community of teachers. TinyTap lessons can be created on iPads or Android tablets and played on iPads, Android tablets, smart phones, and web players. You can create your own interactive lessons or see what other educators are teaching. Village Home provides engaging, mixed-age classes on family-friendly campuses in the Pacific Northwest. Learners create a customized education by selecting classes from a menu of over 200 weekly offerings. Taught by enthusiastic instructors, classes are grade-free and test-free to maximize intrinsic motivation to learn. Analytical Grammar is a student tested, successful approach to language mastery. Written by former teachers, the program ranges from 4th grade – high school and eliminates the need for continuous grammar repetition and endless worksheets. They also offer writing and literature study curricula that complements their grammar program. To see sample pages of their product, click here. Easy Grammar Systems publishes the Easy Grammar series, the Daily GRAMS series, and the Easy Grammar Ultimate Series (Grades 8-12). Author Dr. Wanda Phillips incorporates building-block, cumulative, and cyclical learning to produce mastery. Excellence in Literature is a homeschool-friendly resource for poetry, short stories, essays, and articles, all designed to help you teach classic literature and writing in historic, artistic, and cultural context. To see their catalog, click here. The Institute for Excellence in Writing offers methods of teaching listening, reading, writing, speaking, and thinking for students K-12. Providing both structure and style, IEW empowers students with the confidence to communicate without struggling. K12reader.com offers thousands of free, printable reading worksheets to help supplement and strengthen any homeschool education program. Find professionally created worksheets on spelling, reading comprehension, vocabulary, grammar, composition and more. KD Novelties publishes personalized children’s books where your child becomes the star of their very own story. Personalized books build self-esteem while promoting literacy in children. They also carry personalized music & photo DVDs starring children in their very own music and cartoon adventures. years, their research-validated instruction has changed the lives of children and adults by teaching them how to read and comprehend. Interested in their research? Click here. Reading Kingdom is an online program that teaches children 4-10 to read and write with comprehension at a 3rd grade level in only 12-18 months. The program is based on the research of Dr. Marion Blank, one of the world’s top experts in literacy. It is the only program that uses Dr. Blank’s Six Skill Integrated Method that teaches all key six written language skills in an integrated fashion so that they complement and reinforce each other. The website offers a 30 day free trial. Spike Literature offers Clipped Classics, which are 7-10 minute clips that summarize classic literature – including author background and literary nuances – in a way that makes the classics fun, relatable, and memorable, leaving students ready and willing to read the contained literature and other content. Clips are just $3 each. For a sample download, click here. Tales2go makes it easy to surround students with spoken sophisticated words by streaming over five thousand name-brand audio book titles from leading publishers to any desktop, laptop and most mobile devices. An annual subscription is $99.99 on up to 5 devices. Tales2go works with homeschool groups to provide discounted subscriptions in bulk. This book is an illustrated script for teaching cursive penmanship. It is an easy and fun way to make proficient writers and readers in only 56 days, with 10 minutes per day of actual teaching time. It is an instructional manual for parents. It is not a practice book for students. All that is needed to teach this method is this book, lined paper, pencils and kids. Time4Writing offers free writing resources, and 8 week writing courses for 2nd-12th Grade students, taught online by certified teachers. Courses offer one-on-one instruction and personalized feedback in a student-paced environment. From the basics of grammar to writing an essay for the SAT, Time4Writing is designed to help students master the art of writing at all levels. Courses are $119 each, and start daily. VocabularySpellingCity game-based website and app builds vocabulary, spelling, phonics and writing skills with 35+ engaging games and activities designed to benefit K-12 students at every learning level. Your children can work independently at their own pace. Use spelling games for free, or upgrade to premium for vocabulary, phonics, writing, and language arts. Premium membership costs $29.99/year for up to five children. The online writing course that makes the leap from middle school stories to high school essays. Writing Whatever is a one-time purchase, accessible online using any browser on any device. That means that you can access the lessons at your convenience, review them often, and apply the strategies to fit each writing situation as your students go through school and beyond. Click here for a free trial or to purchase for $99. This site uses an audio-visual technique to teach science (Biology, Chemistry and Physics) in a step-by-step manner. The “right-hemispheric” learning approach takes advantage of the brain’s ability to process images more efficiently and more effectively than reading text alone. You can find sample lessons here. Pricing is $79 for one course or $125 for a combination package of any two courses for a one-year subscription; or choose access to all 3 courses for a full 2 years at only $175. GIANTmicrobes are stuffed animals that look like tiny microbes and cells – only a million times actual size. Each product includes educational information about the real organism or cell it represents. Great health and science learning tools and amusing gifts for anyone with a sense of humor. Available in standard size (5-7 inches), keychains (3 inches) and also gigantic (2 feet). Chose from 150 different microbes and cells. Costs per microbe vary. iPracticeMath is an at home website that provides mathematical assistance for all grades, all ages, and all skill sets – Grades 1-12. Every kind of math topic is available to learn and practice. Real time reporting and membership is free. Lofty Energy specializes in educational solar panel kits. The kits come with nearly everything you need to make a science project as useful as it is educational. To shop kits click here. Marshall Cavendish Education is the publisher of the Singapore Math® textbooks Math In Focus® and Primary Mathematics. Based on the Singapore Math® pedagogy, they offer a holistic approach to learning and teaching through professional development, core curriculum, digital resources and supplemental materials. For purchasing information, click here. Math-Aids.Com provides over 1,100 free math worksheets covering more than 90 different math topics (addition – Algebra II, K-12th Grade). Don’t see what you need? The website will design any math worksheet you need. If you don’t like the ads on the pages, you can sign up for their ad free Member’s Area for only $19.95 a year. With the membership, the page loads are ten times faster and the PDF worksheets are easier to print and save. MathCelebrity offers an automated online math tutor and homework help resource. Students can enter a math problem or search term, press the button, and the instant step-by-step solution is presented. You can try a $2 seven day trial, pay $5 monthly, or choose the $39/annual fee. The elementary and middle school math games offered by MathFileFolderGames.com provide a fun and challenging context for learning math. Students can interact cooperatively or competitively while learning or practicing math skills. The math games make it easy for parents, siblings and other important people in the child’s life, to get involved in the learning process. Math freebies and to-purchase products are available. Matific approaches K-6 math using hands-on, interactive mini-games. These immersive bite-sized games for tablets and computers are based on a modular and progressive spiral learning system. Their portfolio of hundreds of activities and worksheets are entirely curriculum-driven. You can sign up for a free trial, and memberships start at $3 per month. ALEKS is an adaptive, digital math program that provides personalized learning and assessment for students in grades 3-12. Using research-based artificial intelligence, ALEKS identifies what each student is most ready to learn, helping students achieve mathematics proficiency through targeted instruction. For a list of courses, click here. For a free trial, click here. Click here for ordering information. Quality Science Labs offers middle school – college level laboratory curricula and corresponding science kits that enhance the learning experience and improve student success. They help make science easy to teach and fun to learn. ROBOTS-4-U is an edutainment business that combines education and entertainment. Their robot kits and instructions have been used by 20,000 students globally. To see their kits, click here. ROBOTS-4-U also offers summer camps, and homeschool and after-school programs for girls and boys, ages 7 to 17. Tech Trep Academy is an online interactive learning community inspiring young TECHnology enthusiasts and budding enTREPreneurs. Curriculum features computer and game programming, Minecraft modding, 3D printing, digital art/animation, sound mixing, media editing, and entrepreneurship. To view their courses, click here. Youth Digital’s learning platform provides kids and teens – between ages 8-14 – a comprehensive learning experience that is fun, interactive and effective. Their mission is focused on “Creating Creators” by empowering each student to become designers, animators, programmers, app developers and more. Each course costs $249.99 and provides one year of access with online support. Spanish for Children and Parents focuses on auditory comprehension and interaction. Especially designed for homeschools, their texts, workbooks, audio programs, activities and lesson plans are part of their easy to follow method that is being used by institutions and families around the world, including programs such as the Johns Hopkins University center for Talented Youth. All Bilingual Press is offering a 20% off coupon, coupon code – homeschool!16. This online Spanish program offers an innovative and enjoyable way for children and adults to learn conversational Spanish. Presented in short 5-15 minute video lessons, with supplemental interactive games, quizzes and workbooks, students learn from children speaking Spanish in life-like day to day situations. The company offers a 2-day free trial and monthly membership. You can click here to learn more. GamesforLanguage’s free online courses use a travel story with easy games to make practicing fun. They currently offer French, German, Italian, Spanish and Inglés, together with over 120 free Quick Games and Podcasts of the courses. Their blog covers language learning, travel, and cultural topics. Languagenut is a language teaching support tool offering 20 world languages and 77 support languages. The tool is designed for students aged 5-14 years and includes a Teacher Tracking Tool. The website provides fun and engaging games and activities, and you can try it for free here. Their free resources can be found on this link – http://www.languagenut.com/us/free-language-resources/. Middlebury Interactive’s K-12 online world language classes are engaging and task-based and allow learners to gain tangible language skills and cultural understanding in a fun and supportive online setting. Courses can be taken as self-paced independent study or with a certified online teacher, allowing homeschool families to choose the path that’s best for them. Information specific to homeschool families can be found here or shop the courses here. Rosetta Stone Language Learning for Homeschool is a technology-driven homeschool language-learning program built on more than 20 years of successful outcomes. Their approach offers an interactive, engaging way to add foreign language to your homeschool. Try their free homeschool language demo here . Affordable Spanish curriculum for grades 3-8. Step-by-step lessons all done for you. Use at home or for co-op classes. Teach multiple ages the same material. Fun and easy activities. Plus, there is audio so you can hear everything. To learn more about home use, click here. To learn about co-op use, click here. Live online Chinese classes for ages K-12, available anytime to fit your schedule. Every student gets a personalized experience. All teachers are TCFL-certified and have extensive experience in teaching students of all ages. For a free demo, click here. Free Chinese learning tools can be found here – http://www.tutorming.com/free-chinese-learning-tools. There is a cost associated with the courses. Enrich your family’s Spanish and French home instruction with multi-media Educator’s Collections from Whistlefritz. The Educator’s Collections feature creative and engaging lesson plans, videos, and CDs which include live action, animation, lively music, and lots of fun. Click here to learn more about their products. Click here for their homeschooling page. The website provides original and free, K – college level patriotic social studies, history and western civilization supplemental lesson plans and textbooks extolling the virtues of America’s founding ideas/ideals. The website provides curriculum that makes it easy for anyone to teach sophisticated 2-D art to children in grades K-8. The courses include suggestions for cross-curricular connections with social studies, science, and language arts. Free art lessons can be found here. Bundled lessons start at $10. Bellerophon Books presents art and history in a format that leads to exploration and enjoyment along with learning. Bellerophon Books publishes books of Ancient History, American History, Archeology, Native American Art and History, California History, Natural History, Music History, English Literature, and much more. Your kids can color a mask of Tutankhamen or an image from a Mayan codex! These history and social studies textbooks have earned high praise from award-winning university professors, homeschoolers, teachers and more (Catholic and non-Catholic alike). Each textbook is beautifully laid out, four-color throughout, with pictures, maps, illustrations; and they are written using a journalistic, story-like approach which engages students. To get a free sampler CD, call 888-610-3354. Hoffman Academy offers 120 free video piano lessons guide students, step-by-step, through each new song and concept. Designed for beginners with no prior experience, the lessons quickly enable students to play songs successfully. Students can make the most of their learning by using Hoffman’s Complete Materials, which include learning activity pages, sheet music, and MP3 tracks. You can visit their store at https://www.hoffmanacademy.com/store/. Chad Stewart, former Disney animator and long-time homeschool Dad offers online animation and drawing courses to 11-18 year olds. Online weekly classes are one hour in length and include video reviews by an expert. Cost for the 12 week sessions – $300. The Theory Time website was recently updated and reformatted. Their new Medallion Workbook Series is completed, along with Answer Guides covering all five Medallion levels. This series adds a comprehensive, accelerated resource for older beginners and for students who desire to get on-level faster in the Theory Time K-12 Workbook Series. To learn more about Theory Time products, click here. The company offers a 5 feet tall x 2 feet wide Art and World History Timeline poster which highlights masterpieces in art, architecture, and historical events from Prehistoric times (3,500 BC) to today. You can purchase the poster from Amazon. Plus, the site offers a free download of Art History Lessons that go with the poster (60+ pages). C8 Sciences is a global developer of computer-based brain training programs for children struggling with attention disorders like ADD or ADHD. Based on research from Yale University, it combines computer games with physical exercises the whole family can engage in and enjoy, plus, easy-to-understand reporting based on built-in NIH tests. For pricing details, click here. Guided by ongoing research at Stanford University, GiftedandTalented.com provides online educational programs to help K-12 students become advanced learners. GiftedandTalented.com offers personalized adaptive courses in mathematics, language arts, science and computer programming. For courses and tuition information, click here. Online G3 offers interactive online classes with live weekly webinars for gifted students working at grade levels 6-12. Flexible placement and mixed age groups allow parents to customize their children’s education and accommodate asynchronous learners. You can learn more here. Homeschool Complete: an all-inclusive curriculum designed to help parents be successful in teaching their elementary-aged children. Engaging activities within thematic units holds your child’s interest and creates a love of learning. Click here for curriculum information, for flashcards, resources, and more. KinderIQ is an online learning program to help children master the fundamental math and reading concepts necessary to succeed in the first years of school. Click here for a free kindergarten readiness test and here for your first month free. Membership is $4.95/month. Aeroscholars offers online aviation courses for high school students. Course 1 is an introduction to aviation and Course 2 prepares students for the private pilot written examination. Six university credits are an option. To learn more about the courses, click here. Dates and pricing information can be found at www.aeroscholars.com/registration.html. Amridge University is a private nonprofit university, offering undergraduate, graduate and doctoral programs online. Amridge University’s mission is to prepare men and women, through a commitment to academic excellence and spiritual vitality at the undergraduate and graduate levels, for a lifetime of learning, leadership, and service to the professions, society, church, and family. All programs are accredited by SACSCOC. PREPWORKS, an adaptive technology and tutoring company, offers a combination of intelligent software, courseware, and reporting designed to promote student achievement on high-stakes tests. Click here for more information about PREPWORKS. College preparation, study skills and online learning resources provided by the University of Nebraska High School, an accredited, NCAA-approved online school offering more than 100 core, elective & AP courses and a respected diploma. For academic information, click here. Information concerning tuition and fees can be found here. FreedomProject Academy is a Judeo-Christian online school that offers a complete Classical education for students in Kindergarten – High School, free of government spin and Common Core influence. FreedomProject Academy provides live online teaching, graded assignments and tests, and 24/7 access to grades and class recordings. FPA can help with one class or a full curriculum. View the full list of accredited classes, tuition, and sneak peek videos here. This website is posting 240 free activities in 2015/2016 to complement their curriculum on the Lord’s Prayer. Ideal for upper elementary kids and their families. Affordable Christian preschool-elementary homeschool curriculum with the goal of enabling every student to develop high academic skills and Christ-like character. Kirkwood offers individual student assessment, video instruction, interactive lessons, and detailed academic records. Curriculum and sample lessons can be found here while info regarding tuition can be found here. Master Books curriculum, where faith grows! Master Books® Homeschool curriculum will grow your students’ faith in the Creator as they increase their knowledge of the world around them. The company has partnered with leading authors, scholars, and educators to offer a wide selection of resources for all ages and educational levels. Browse full grade sets at www.masterbooks.com/browse/homeschool-curriculum. NorthStar Academy (NSA) is an online, private, Christian school that currently offers students in grades 4-12 a complete academic and diploma-granting program. NorthStar Academy offers online teacher-led and parent-led courses, and unit studies are available! Your education, your choice! For a school catalog, click here. Oaks Christian Online School (OCO) is accredited by the Western Association of Schools and Colleges and the Southern Association of Independent Schools. Their top-tier curriculum, rigorous requirements for academic honesty and Christian teachers have given them a great reputation with colleges, and they have a 100% acceptance rate by their full-time students to 4-year universities. See The Light DVDs provide integrated art and Bible curriculum, with step by step lessons. The company offers three distinct product lines: Art Class, Art Projects, and Bible Stories. Plus, freebie art lessons available on their blog and in their newsletter. A classical Christian humanities education in two programs. One includes history, literature, geography, hands-on projects, and teacher training for K-1st families. The other includes the same and much more for K-12, with teacher training. 4knowledge-4fun.com is an online educational materials, product and toy store. They offer arts & crafts materials, books, building toys, dolls, active & outdoors activities, plush toys, science experiments, puzzles, games and much more. ChessKid.com is a free chess website for kids which is safe, educational and fun. ChessKid offers a “safe online, social environment” a learning/playing platform, and is equipped with management tools to help any chess club. To learn about ChessKid for homeschools, click here. HUE Animation Studio contains everything that your children (ages 7 and up) need to learn how to create stop motion animation videos. Homeschooled students can develop and demonstrate their understanding of STEM and the 21st century skills of collaboration, creativity, critical thinking, and problem solving, all while having fun. To visit HUE store, go to http://huehd.com/shop/ . Picaboo Yearbooks offers high-quality printed yearbooks at an affordable price–starting at just $9.49. Their online design tools are easy to use and offer many creative options for all skill levels. Design your own pages or choose from the hundreds of predesigned layouts, backgrounds and cover designs. There is no minimum order and all yearbooks come with a free digital eYearbook that can be shared electronically with family and friends. Written and designed by homeschoolers, Quest turns anything your child is interested in into a fun and educational badge. Whether you choose to use Quest in a club setting, as part of a homeschool co-op, or within your own family, their badges and awards will enhance your homeschool experience and help your child develop a lifelong love of learning. Click here for their homeschool page. This website offers thousands of children’s songs (songs about science, mathematics, social studies, the fine arts, life skills and more). lyrics, sound clips, and teaching suggestions. You can listen to the songs online for free or purchase songs that you like. Inspire learning, creativity and fun with The Learning Journey’s interactive educational toys, games and puzzles. All products at The Learning Journey build on the skills necessary for children to be prepared for school and beyond. See their award-winning line at tlji.com and at retailers worldwide. We Choose Virtues is a positive way to simply inspire character. Their fun definitions and demonstrations make real change possible. Click here for their Tools for Homeschools. Use code VIRTUE15 for 15% off at their curriculum store. Bridgeway Academy is a fully accredited homeschool academy offering courses for kids Pre-K – high school. They believe that homeschooling inspires a love for learning and student success -and that helpful resources should be easy to find. You can see their all-inclusive programs, live classes and homeschool tips here. eLearningk12.com has more than 16 years of experience in designing and delivering effective and affordable curricula geared towards meeting the learning styles of any child. eLearningk12.com offers several levels of both online (anytime/anywhere) and center-based education, so it’s easy to choose the option that best suits your family. Forest Trail Academy is a regionally, nationally and internationally accredited private K-12 online school. They were recently listed as the #3 of the top 50 online schools in the U.S. They have all certified teachers who grade and interact with all the students. In addition, they are a NCAA approved curriculum school. For a school brochure, click here. Global Student Network is an accredited online homeschool curriculum, for Grades K-12. The school prides itself in offering affordable online homeschool curriculum customized to fit all learning styles, including 600+ homeschooling programs and courses – both secular and Christian. You can choose Honors courses, Career & Technical Education Programs, ACT/SAT Prep, Rosetta Stone and more. Plus, many Global Courseware options are available. The Virtual Learning Academy provides a web-based curriculum spanning grades K-12. They offer over 100 courses, and 24/7 access. Your child can take an unlimited amount of courses per calendar year, allowing the freedom and flexibility for the coursework to fit into your family’s schedule. In addition to core courses, students can find electives in Theatre, Art, Technology and Gaming! Click here to view the VLA Curriculum. Top Educational Websites of 2016!